Reuniting America’s greatest pastime with its hidden history, the graphic novel tells the story of the Stars of David, a barnstorming Jewish baseball team of the depression era. Led by its manager and third baseman, the nomadic team travels from small town to small town providing the thrill of the sport while playing up their religious exoticism as a curio for people to gawk at, heckle, and taunt. When the team’s fortunes fall, the players are presented a plan to get people in the stands. But by placing their fortunes in the hands of a promoter, the Stars of David find themselves fanning the flames of ethnic tensions. 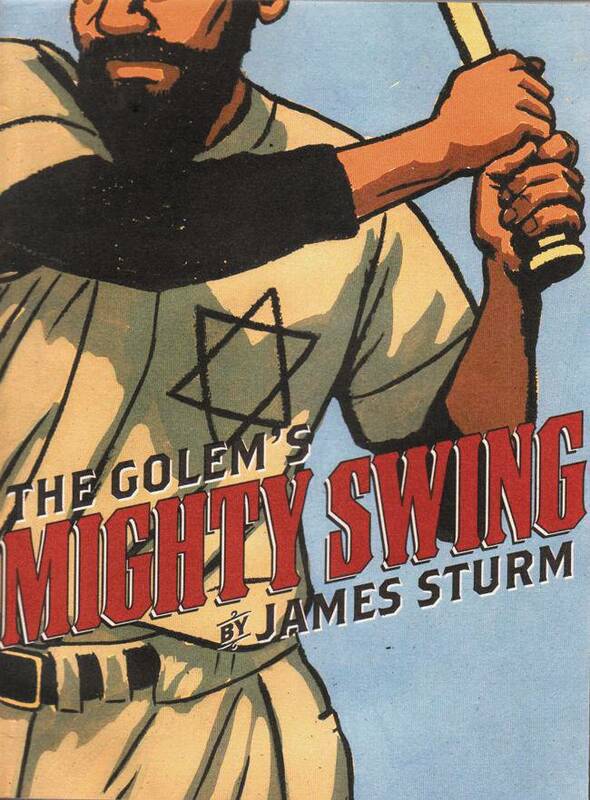 Baseball, small towns, racial tensions, and the desperate grasp for the American Dream: The Golem’s Mighty Swing is a classic American novel.